If you’ve ever had the pleasure of listening to Dylan Wiliam or reading John Hattie’s work then you will see there is definitely a meeting of minds, the meeting of two great minds if truth be told. They both champion feedback as one of the most powerful ways of enhancing learning but are also very clear that this is not just any old feedback. Assessment for learning has now been so re-worked, abused and adapted we have probably lost sight of its real power and purpose. Ofsted commented on our marking or in some cases the lack of it as they have at schools up and down the country. The response was a new policy, which in itself is fine, but also much more stringent monitoring to ensure the policy was fully and properly implemented – it’s not for the fainted hearted. 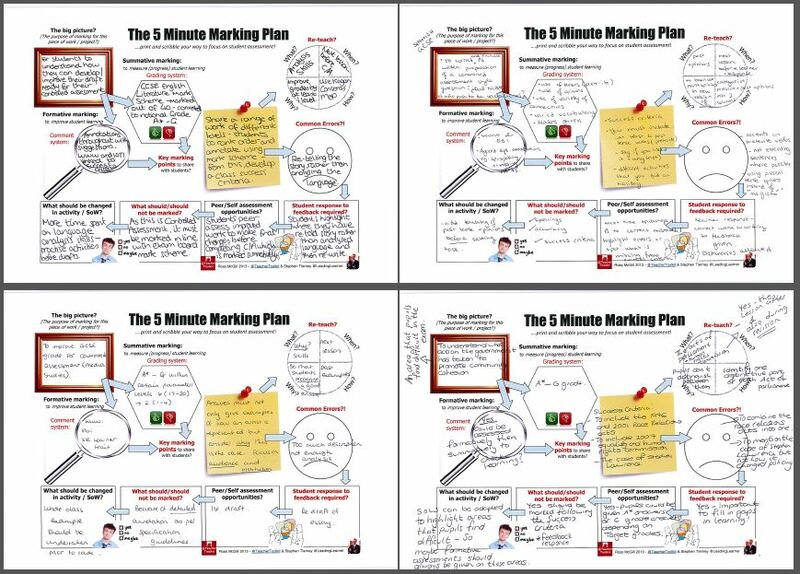 The policy is available on the post about the #5MinMarkingPlan that I co-posted with Ross McGill (@TeacherToolkit) some time ago. In putting the Marking Policy together we focussed on what could be evidenced as good practice in the research available and in some of our own teachers’ practice. The policy has a 2:1 ratio of formative assessment (feedback) to summative assessment. The graphic below is from the monitoring section of the policy and lays out are non-negotiable expectations. A response from the learner that uses the feedback to improve his/her work to the next level. 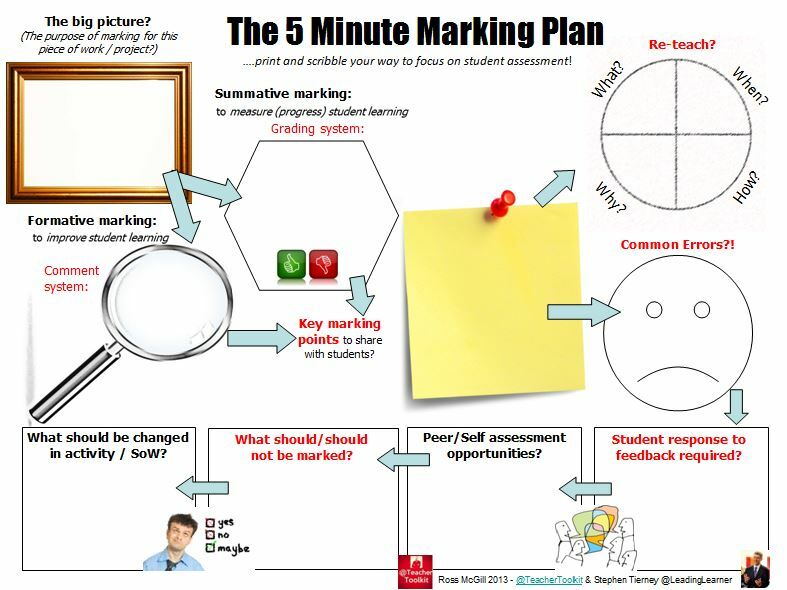 Ask yourself when marking work will it be you or the students who have worked harder? If it is not the students something has gone wrong. 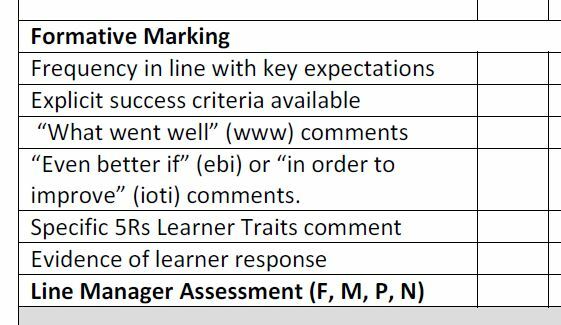 A comment about the learning behaviours (5Rs Learner Traits) that a student has used or could have used to improve the work presented for marking. 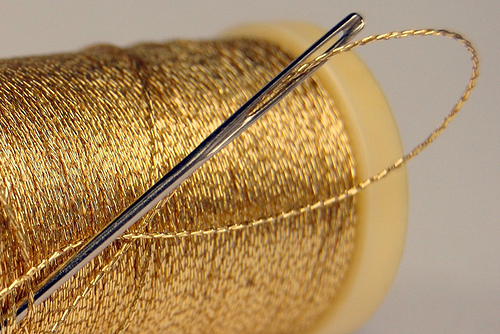 These threads were identified and woven into the policy, and increasingly into our practice, by reading Hattie’s books and listening to Dylan Wiliam. Staff are sometimes just too honest with me for their own good! It makes you proud when someone nails it. It isn’t just about students getting feedback from the marking but teachers also getting feedback about where students are up to, what has worked, what has not and where to next. Many teachers feel that they give detailed and frequent feedback to their students but according to Hattie (2009, Visible Learning, pp. 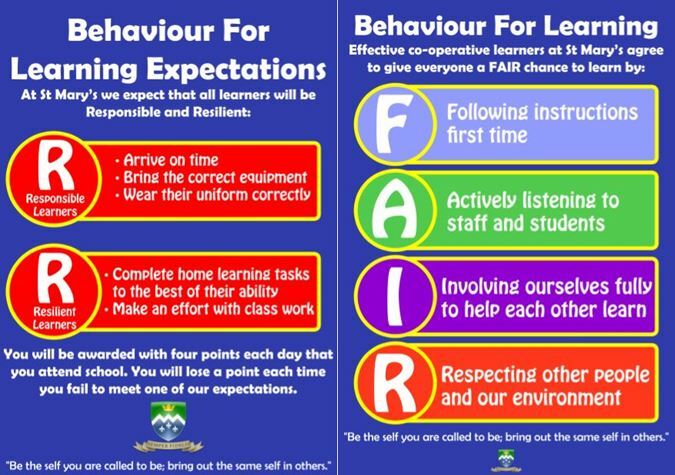 173-178) students don’t agree – apparently most of the feedback given by teachers is behavioural and social rather than feedback focused on learning. Hattie (2009) contends the key to the effectiveness of the feedback is that it is acted on – by either the teacher or the student. 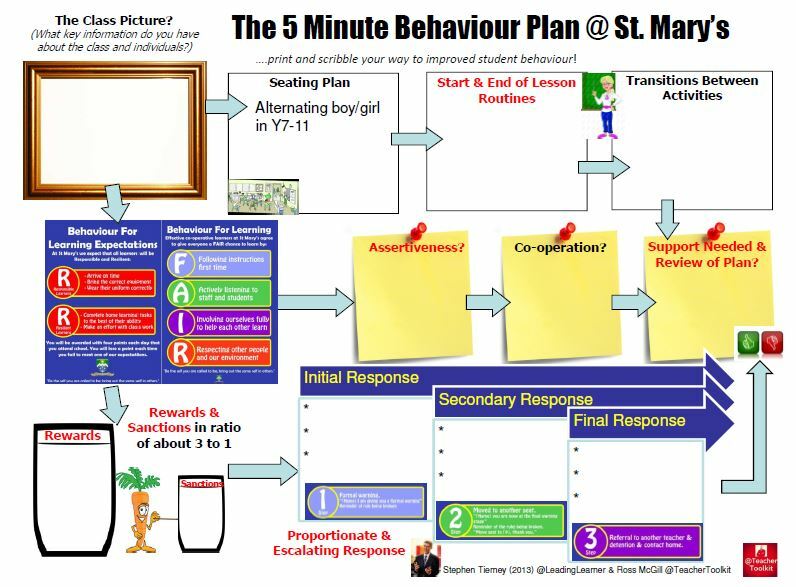 This post is about how the feedback is acted on by students within the learning process. Students need to respond to the feedback with enhanced work or performance otherwise the marking and feedback is pointless. Assessment is part of the learning process not a separate activity. Assessment is for and as part of learning. Given the feedback to each student, which s/he will be required to respond to is quite different, it is a great way to differentiate their learning. 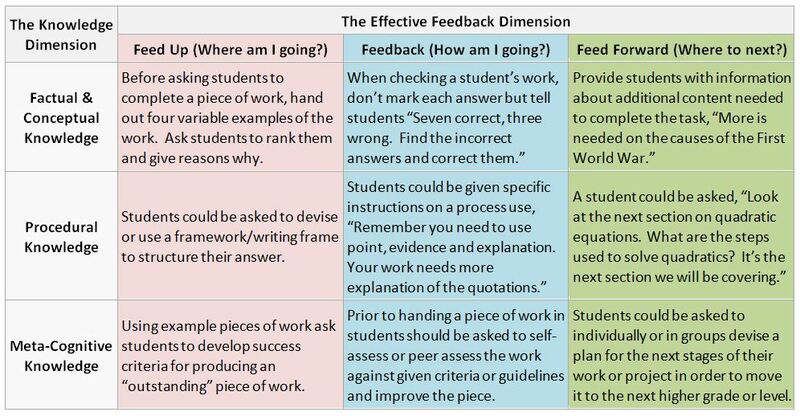 Imagine at the start of a lesson every student is improving the level of his/her work with the specific feedback targeted at improving his/her performance, that level of differentiation is impressive. Feedback – How am I going? Feed Forward – Where to next? Hattie (2009) suggests that each of these questions can be asked at a task, process and self-regulation level. These levels have much in common with Bloom’s Taxonomy which I still have a certain affinity with since being introduced to it as a young teacher. However, it is only Bloom’s “Knowledge Dimensions” that I use rather than the cognitive processes identified within the taxonomy. If you want to unpack this a little more have a look at “When #SOLO Met Bloom Taxonomy”. Hattie (2009) gives a number of examples but here are a few attempts from me. 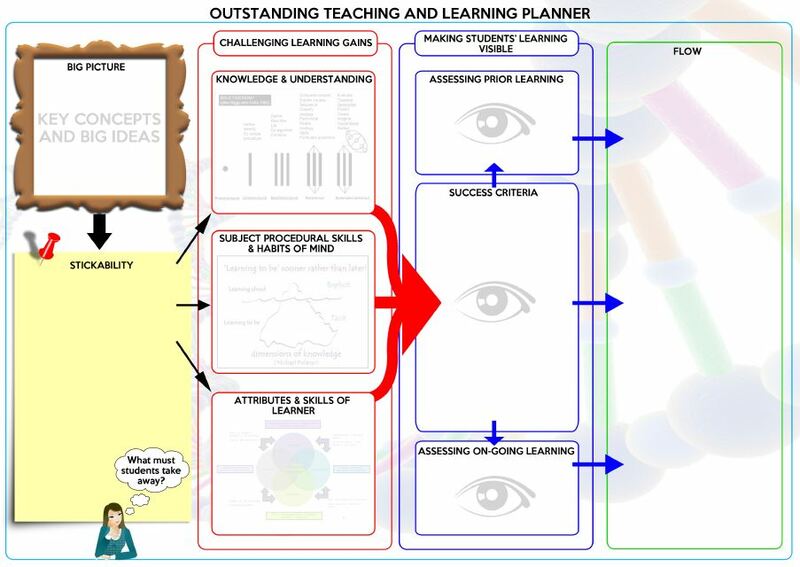 Why not produce your own table with a set of standards prompts, questions or responses you could use in class? 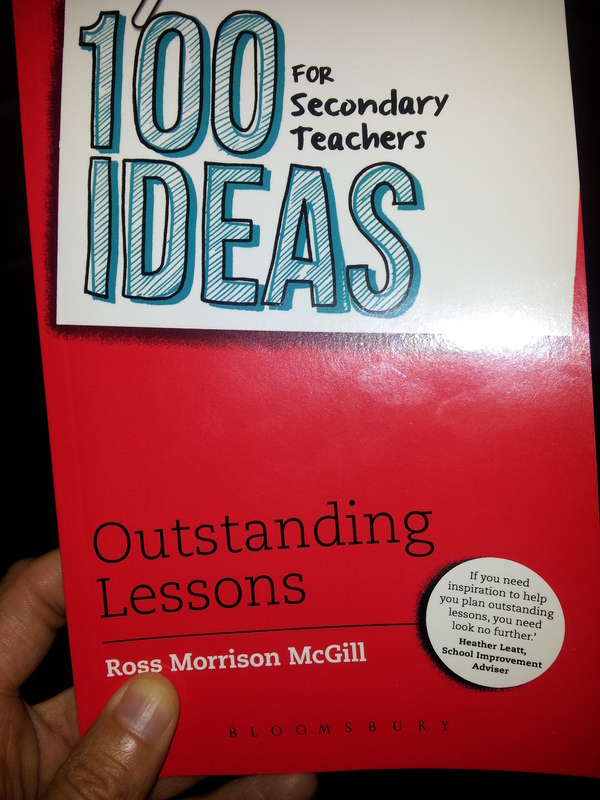 FAIL – First Attempt In Learning is described fully in Ross Morrison McGill’s new book, 100 Ideas for Secondary Teachers: Outstanding Lessons (a great little stocking filler). 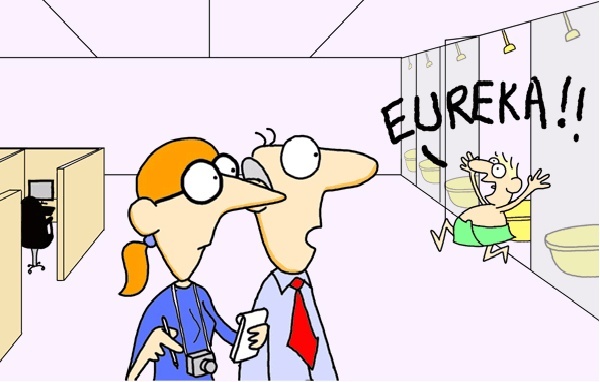 It consists of giving and receiving feedback in order to improve work. 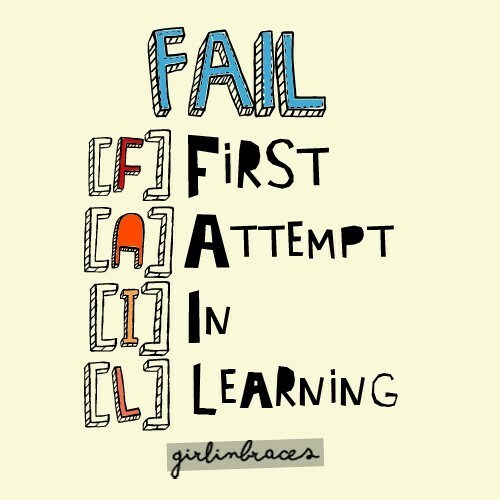 However, if you really want to see the impact of feedback you need to think FAIL, SAIL, TAIL – first, second and third attempts in learning leading to excellence. 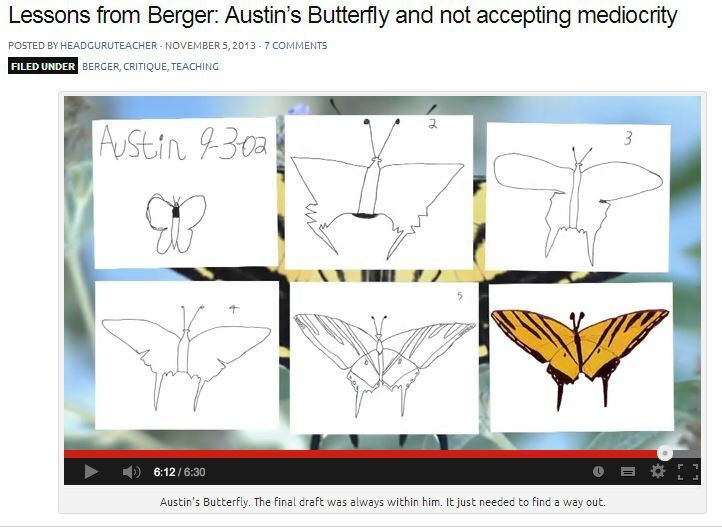 Tom Sherrington’s (@headguruteacher) post , “Lessons from Berger: Austin’s Butterfly and Not Accepting Mediocrity” about an ethic of excellence and mastery learning just blew me away – check out the YouTube clip. The work that Austin manages to produce (I think he is about seven years old) would put many secondary school students’ work to shame. The combination of what excellence looks like, consistent high quality feedback and a willingness to keep making improvements produces some pretty awe inspiring work – possibly a growth mindset in action? There may not be universal truths in education but remember, “Posts Move, Goals Don’t”. Aspirations and high achievement, great teaching and learning and an enriching curriculum are like mother’s love and apple pie irrespective of the current political masters and external forces. In turbulent times hang onto your values and trust what is proven to work – “The World is not flat”. What a wonderful way to provide feedback to students.